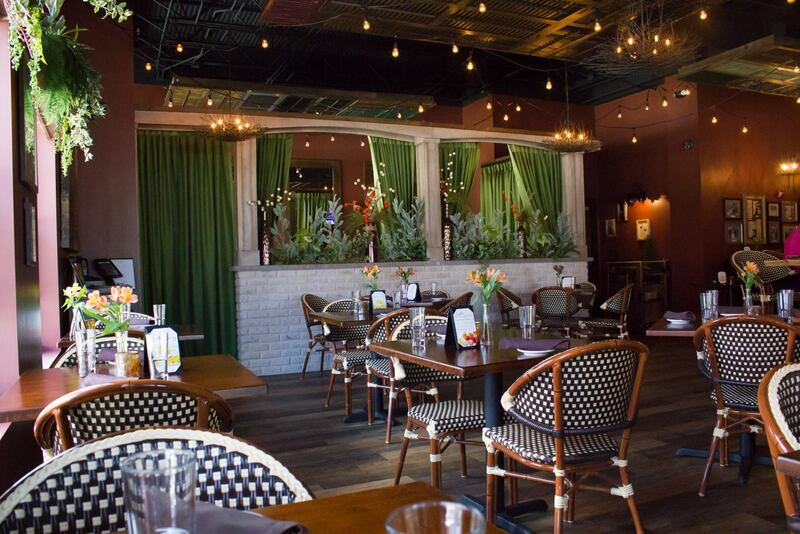 From the outside, it might look like just another restaurant with a nice facade, but once you walk into Campagna Restaurant in Malta, NY, you immediately get the vibe that this space is warm and inviting. 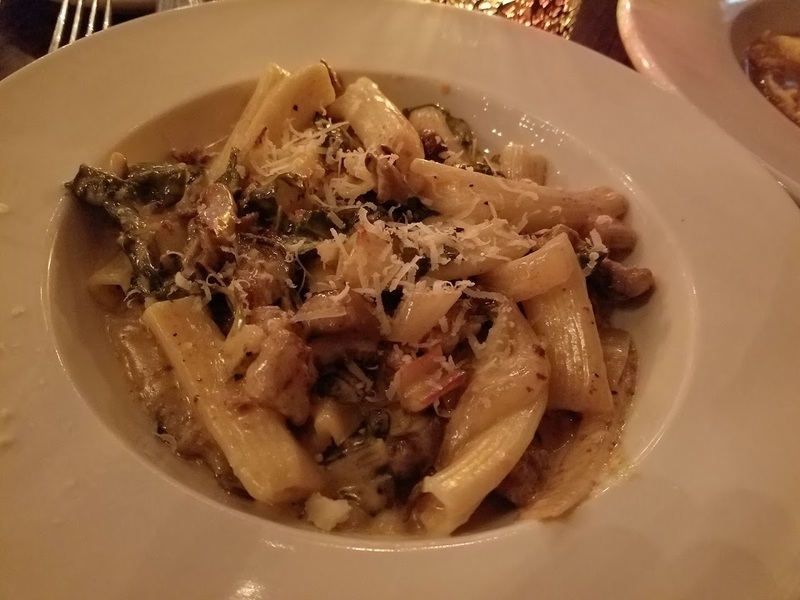 Last week, I visited Campagna with Tim for a carb-fest, my favorite – and to try out the restaurant. Since opening last year, I did make it there once for what I thought was a regular family dinner… but unbeknownst to me, it was my brother and sister-in-law’s attempt to get us all together to let us know that they were having a baby and I was going to be an Auntie for the first time! You can probably guess why my mind wasn’t really thinking about taking pictures of my meal. Fast forward about 10 months, and it was time to head back there to actually focus on the food this time around. They’re open seven days a week, serving lunch and dinner T-F, just dinner on Mondays, and brunch, lunch and dinner S-Su. Something that’s really awesome about Campagna is that it’s not the type of Italian restaurant that most of us are used to, meaning that it’s not that Italian-American inspired menu with chicken parm and lasagna. Instead, they take it very seriously to highlight dishes that remind them of their roots. After enjoying some of their freshly baked bread, we dove into our appetizers, which consisted of Brasato Breve Costola, braised beef short rib, carrot purée, tuscan chile, and micro wasabi as well as the Lobster Insalata, a special that night. Okay so the sun went down by the time we started to get our food, and of course the lights were set at “date night” mode, so I couldn’t perfectly capture this short rib, but holy moly was it good. That carrot puree though. It was carrot-sweet, but then mellowed out by the chiles. Seriously one of my favorite things we ate that night. 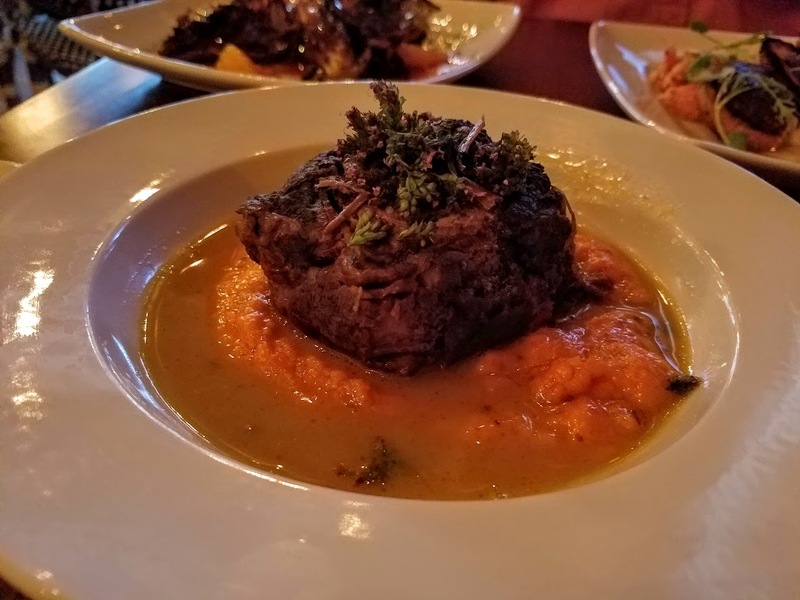 The braised short rib itself was so succulent and buttery, it was the perfect compliment to the sweet and mildly spicy carrot puree. The lobster insalata was also very good, and so unbelievably fresh that it offered a nice contrast to the meat-heavy dish we also had on the table. 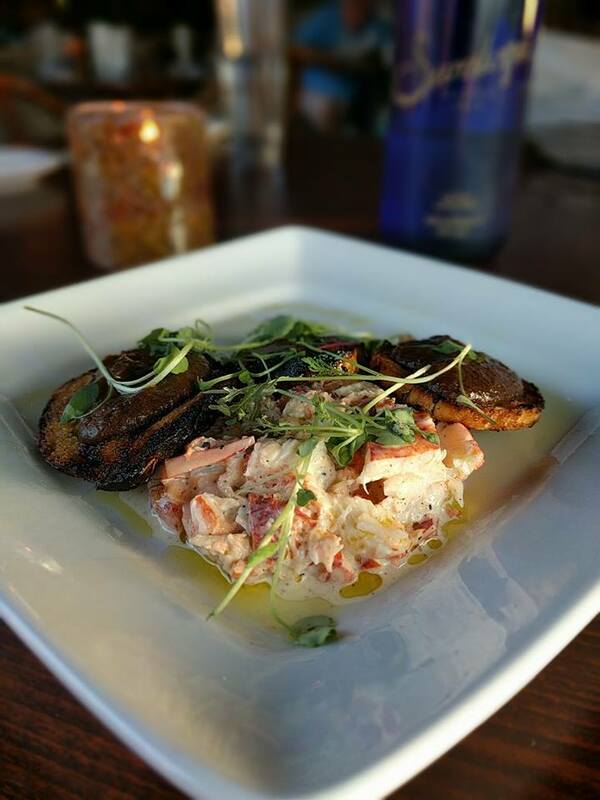 The lobster was drizzled in a lemon aioli and the crostinis had a beautiful brown butter spread on them. I actually loved both the lobster and the crostinis separately and together. It was a really unique pairing, but the brown butter added a richness that complimented the already rich lobster – and thus me sinking deeper and deeper into my chair. For my entree, I actually ordered from the Primi menu, which is typically their second course or pasta menu. The Rigatoni Con Fungi & Sausage was speaking to me, and of course I couldn’t say no. I did limit myself by ordering a smaller portion of it, which I was actually surprised to see was a full-size portion (or more) if you pay attention to nutritional guidelines. Again, I know the photo is a little blah, but if you’re into that whole mushroom/sausage/cream sauce thing… this dish is killer. I know I used the word rich earlier, but this was definitely another edition of richness. Those meaty mushrooms were cooked down just enough for them to release their full flavor. Hit that with some cream and salty sausage and you’ve got the key to my heart right there. 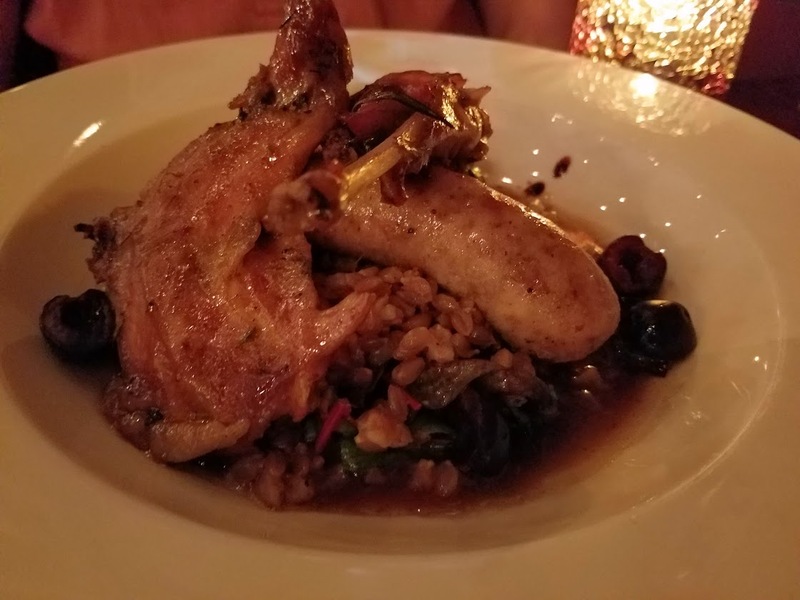 He ordered the Coniglio off of the Secondi menu, which was Rabbit sausage, confit rabbit legs, farro, Swiss chard, fresh cherries, and cherry gastrique. This, my friends, is the dish to get. I know, I felt pretty sorry for the little rabbit at first, but after the first bite, you forget all about that. This rabbit dish was everything. The rabbit was juicy and tender, falling off the bone really. It was resting on top of some beautifully wilted rainbow chard and farro, and the cherry gastrique brought a very subtle sweet/tartness that tied it all together. I actually considered ordering a second one for myself I loved it so much, but logic got the best of me and I refrained until next time. I present to you all, the Morte di Cioccolato. 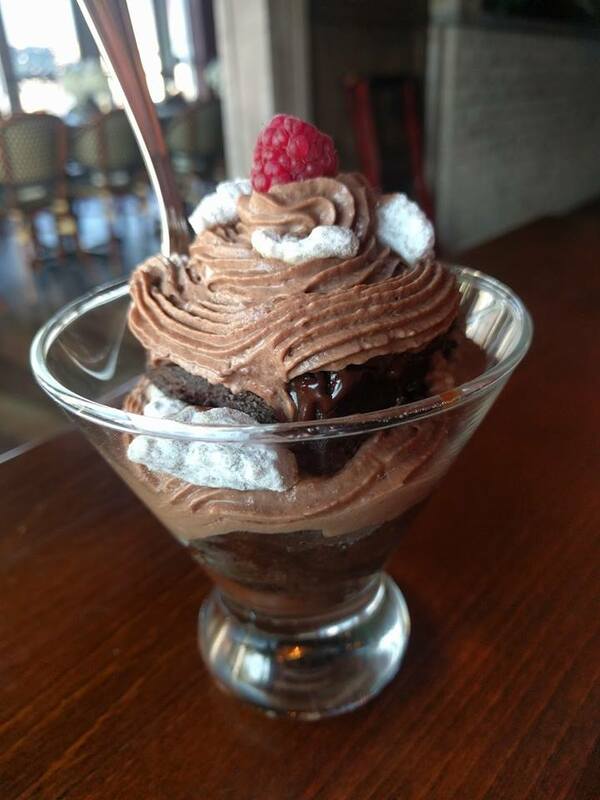 Flourless chocolate brownie, fudge sauce, raspberry chocolate mousse, and candied walnuts. One bite sent me right into my happy place, and even though I was unbelievably full, I literally could not stop myself from eating the entire thing. Give me a combo of brownie and raspberry and I will ALWAYS finish it until there is no more. Go there and get this. Please. Your sweet tooth will thank you. Campagna is definitely a restaurant that should be on everyone’s radars. 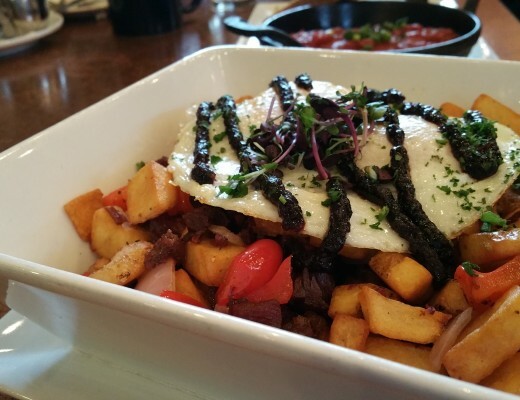 It really has something for everyone, and the waitstaff and owners could not be nicer. I was super pleased with my experience, and I hope you will be too! I know the people that own /run this restaurant and they work so hard for this wonderful place!